One thing I always insisted on having in my Montessori classroom was a Peace corner. No matter how small a space I had (and I had some very tiny classrooms), I always made sure I reserved a special space where children could be free to find quiet solace and peace. My Peace corner changed over the years, but usually included a small, low table; a floor pillow or two; a small chime or rain stick; a fresh flower; and a Zen garden or small, colorful rocks. This year, after we had put up our Christmas tree, I noticed the sense of peace that came over my family. 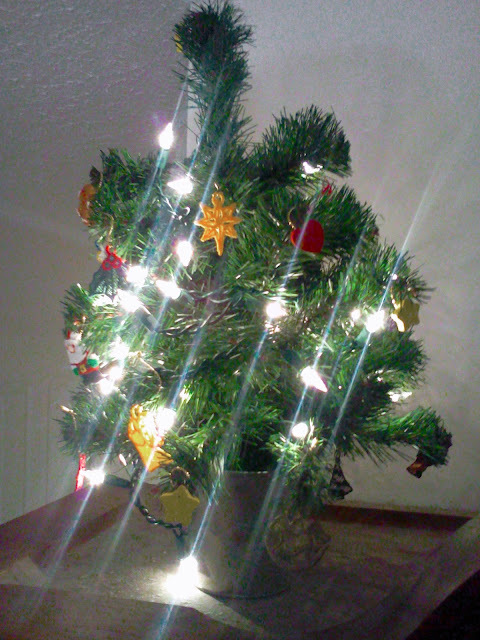 A great idea occurred to me: why not put a small Christmas tree in the Peace corner? A small Christmas tree is easily purchased in a local craft store. If you want to use a real tree, your local tree farm should be able to cut one for you. A small basket of ornaments and short strand of lights can be placed next to the tree. Before you place the tree in the Peace corner, you can bring it to circle to give a group lesson. Sharing a bit of the history and symbolism of the Christmas tree helps children understand why we use the evergreen tree. You can share that decorating the tree brings feelings of peace and calm and that you are putting the tree in the Peace corner so everyone can have a turn experiencing this peaceful activity. 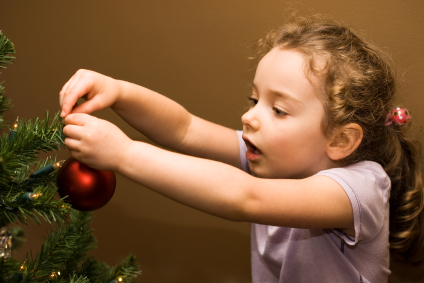 Demonstrate with great care how to wrap the lights around the tree and how to carefully hang the ornaments. Show the children how to carefully plug the lights in the socket. Then, invite them to take a few moments to reflect on the beauty of the tree and the sense of peace and calm they feel. Lastly, demonstrate how to un-decorate the tree, removing the ornaments and replacing them in the baskets for their friends to use. There are many symbols of peace and love around the world. Perhaps rotating a few of these symbols throughout the year will help children understand that Peace is not found just in the Montessori Peace corner but in our day-to-day journey through life. © North American Montessori Center - originally posted in its entirety at Montessori Teacher Training on Monday, December 24, 2012. Merry Christmas from the Staff at NAMC!